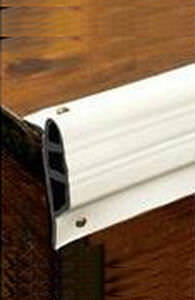 Double molded vinyl dock edging is molded twice then molecularly bonded for extra durability and protection. A tough inner core is surrounded with our soft white vinyl for extra cushion against tough docks. Each piece installs easily to the edges of dock piers or floats with screws or nails. Available in our four most popular profiles and a full range of lengths.